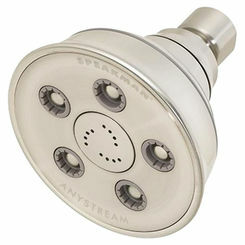 The S-3010-BN-E2 is a showerhead from the Neo Collection, manufactured by Speakman. 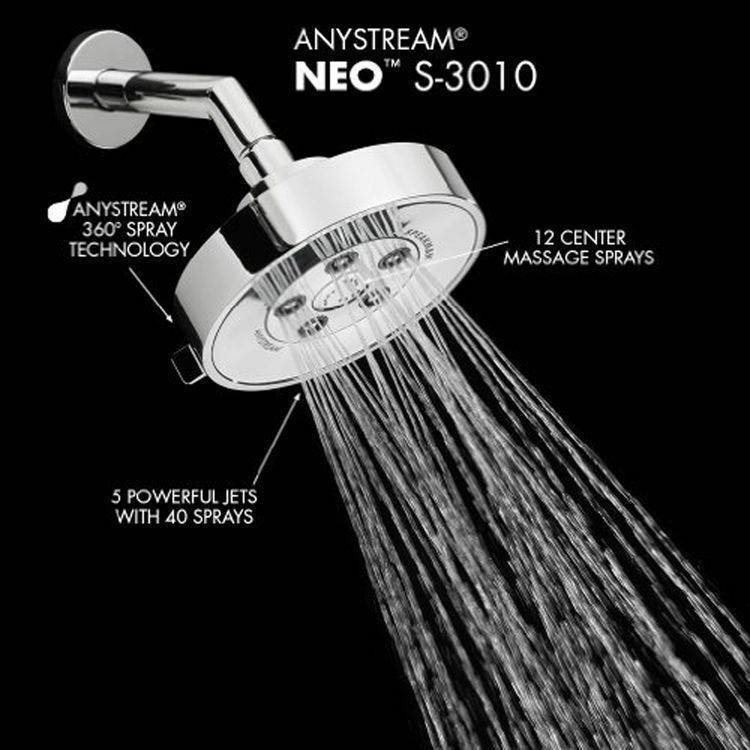 This Neo showerhead is made of a durable plastic material. It is beautifully created with a spherical shape. Its brushed nickel finish will bring out a sophisticated bathroom style. 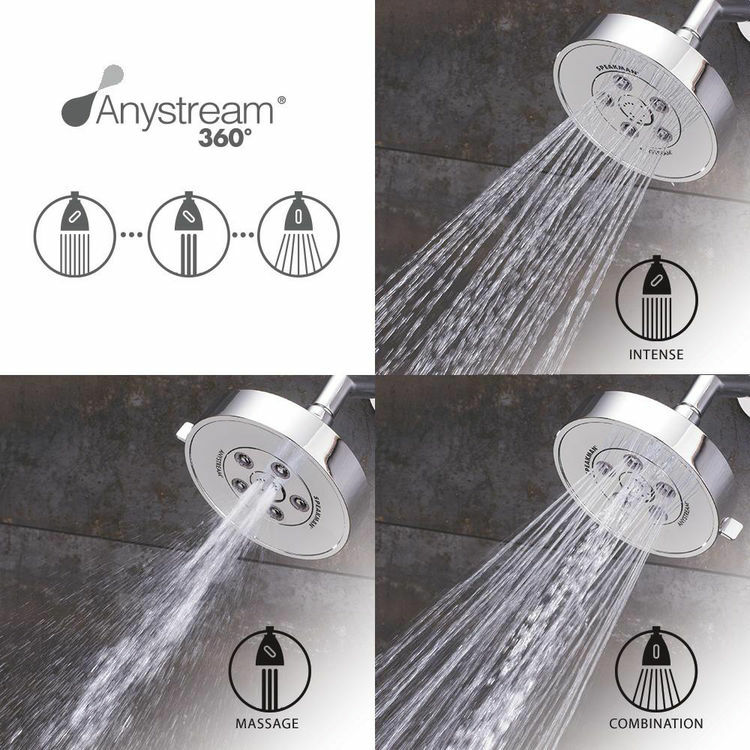 This Neo showerhead has a flow rate of 2.5 GPM (9.5 L/min), a WaterSense approved. It features five (5) patented plungers, which are resistant to scale build-up. It delivers forty-five (45), high pressured sprays. 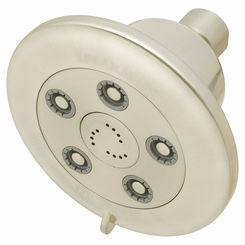 And with its twelve (12) center massage jets, you will be pampered with a clean and great relaxing shower experience. 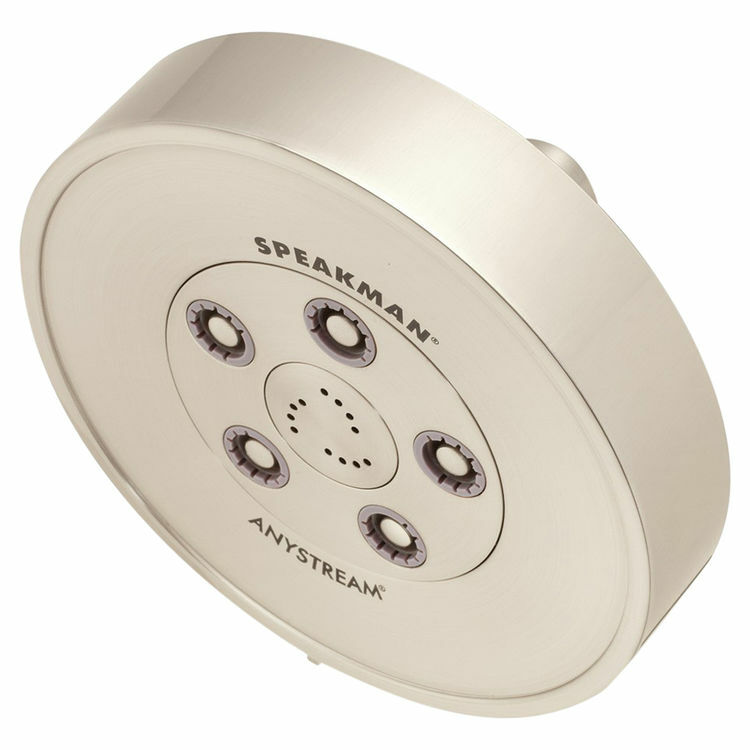 This Speakman S-3010-BN-E2 has a spray-adjusting faceplate that uses Anystream technology. It allows you to adjust the water from an intense flow to a throbbing massage or a combination of both sprays. 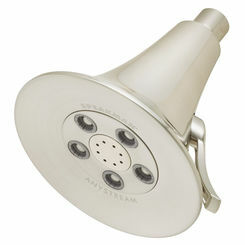 This showerhead is compliant with ASME A112.18.1/CSA B125.1. For details about its dimensions, please see the specification sheet. It is covered by a lifetime limited warranty for residential use and one (1) year limited warranty for commercial use. 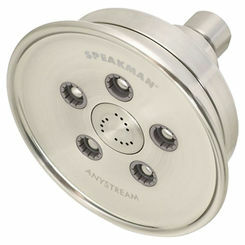 Speakman has been continually enhancing their products to introduce the latest technology in the shower and plumbing industries and to deliver the finest shower experience to its users.